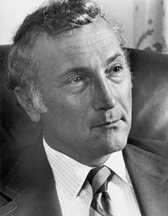 Landes, Burton R. The Making of a Senator, 1974: A Biography of Richard S. Schweiker. Trappe, PA: Landes, 1976. Schweiker, Richard. Health Care: Making a Good System Better. In A Changing America: Conservatives View the 80s From the United States Senate, edited by Paul Laxalt and Richard S. Williamson, pp. 103-31. South Bend, IN: Regnery/Gateway, 1980. Stafford, Robert T., Frank J. Horton, Richard S. Schweiker, Garner E. Shriver, and Charles W. Whalen, Jr. How to End the Draft: The Case for an All-Volunteer Army. Washington: National Press, 1967.